Please enter my giveaway to win a charm bracelet of your choice from a selection here! One of my biggest loves in life are palettes. Rose Gold, Pure Platinum and Black Diamond - £4.00 each here. I am huge fan of the Makeup Revolution eye foils so it seems rude not to add the remaining three to my collection, I've seen many looks created with these and I'd like to be a little more adventurous and try and recreate them, though I imagine they won't be half as good. I've wanted Romantic Smoked for as long as I can remember (since the launch) and can't believe I still haven't got my hands on it, and for a mere £4.00 it's definitely a must have. 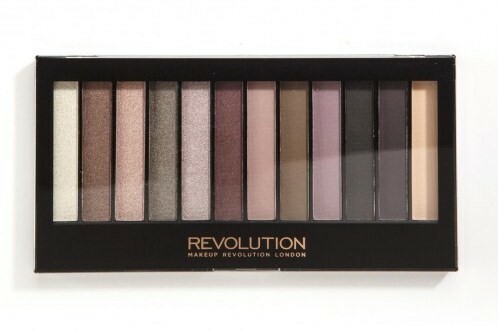 Makeup Revolution probably can confirm my internet stalking on their social media platforms at the mere mention of this palette - yes, I'm insane. You however can buy this beauty here. I think it's clear to see the palette issues I do live with, I'd love lipsticks, blushes and so on but I'm instantly drawn to anything palette form. If I had to break down to my top three - a tough one for sure - I'd go for; 1. Girls On Film, Romantic Smoked and Parental Advisory, though it's a toss up between that and #selfie. I'll have a top 4 instead! What are you loving from these two brands? I've shared a Makeup Revolution wishlist today as well, great minds think alike eh! ?